Dave Bylsma has taken the reins as mayor for West Lincoln, winning a clear mandate over incumbent Doug Joyner. He will also be holding those reins with a platform built on fiscal responsibility, rural infrastructure and measured growth. “Our platform really resonated with residents,” said Bylsma, celebrating with his wife Sylvia and a houseful of family and friends. Monday night saw Bylsma take a strong and consistent lead across the polls, winning with 2,115 votes over Joyner with 1,104 votes. Close in third was JoAnn Chechalk with 1,034 votes, and Paul Wiebe, 199 votes. A business owner and father of nine, Bylsma will turn his management skills to building strong connections with township staff, businesses and the community. Grateful for the support, Bylsma said he will work closely with council and staff and ‘new voters’ who brought their voices to the polls. Bylsma said earlier he wants to get the township up to speed repairing and replacing infrastructure and rural roads, restructure the MURS (Multi-Use Recreational Site) loan to take some pressure off taxpayers and cut red tape for new or expanding industrial and commercial projects and match them to lands that meet their needs. West Lincoln residents named Albert Witteveen as the first ever elected member to Niagara Regional Council. It was an historic and close race with just 45 votes between Witteveen winning with 2,186 votes and Terry Bell with 2,141 votes. The inaugural position adds a second voice along with the newly-elected mayor. Witteveen is a strong voice for agriculture. He wants to see it continue to grow and adapt, and to see policies and planning that encourage the growth of agriculture in Niagara and honours the natural futures and the components of tourism. West Lincoln will see a number of new faces for the next term with three incumbents joined by three newcomers. 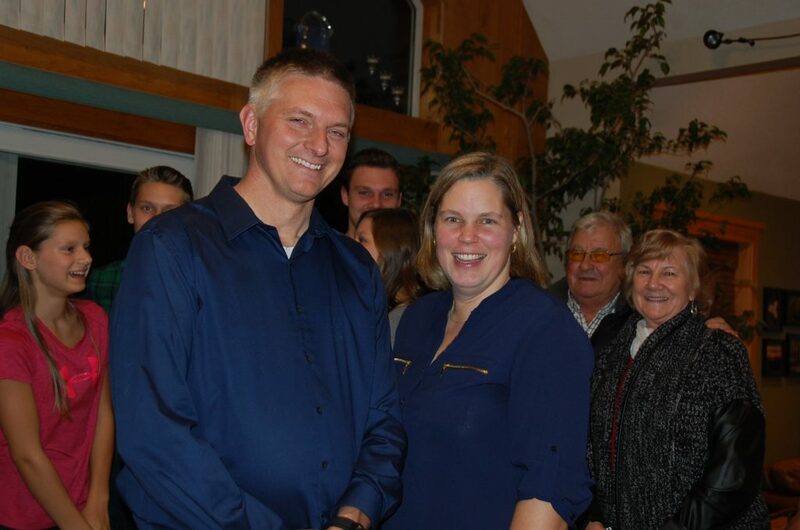 Ward 1 incumbent Jason Trombetta was returned with 771 votes along with incumbent Mike Rehner, with 708 votes. Contenders included Ed Fulford with 302 votes and Edward Woods, 296 votes. In Ward 2 Ward 2 Harold Jonker took the lead with 617 votes and he is joined by Christopher Coady with 558 votes. Close behind was Shelley Ann Bradaric with 505 votes and Eric Leith won 286 votes. In Ward 3 incumbent Cheryl Ganann was returned with a strong mandate winning 1,560 votes. She will be joined by William Reilly with 1,016 votes. Also running were Nicholas Beaudin with 693 votes and Sandra Magnini, 544 votes.